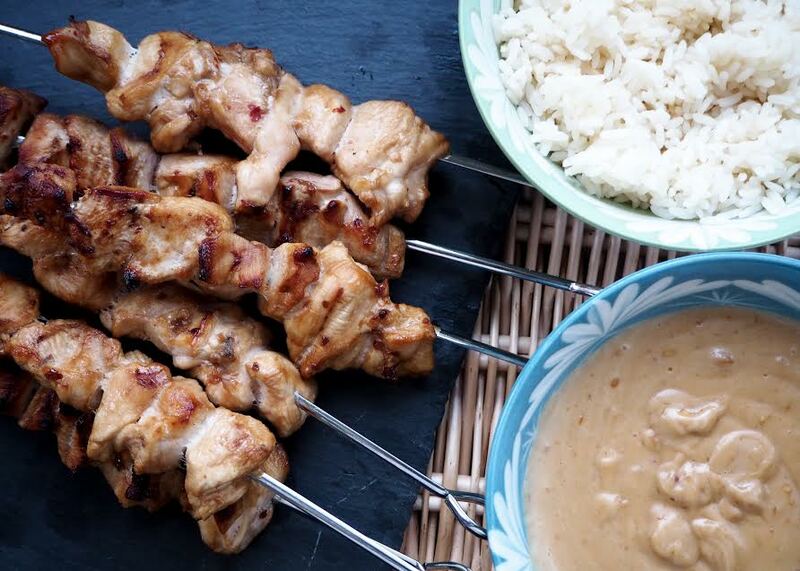 I have a huge weakness for chicken satay! Growing up, every Friday night was takeaway night, my brother and I got to choose what we wanted and it was simply a no-brainer, Chinese duh! It was rich, it was different, it was exciting and we loved it, we still do! Over the years my mother has become intolerant to msg, which if can make her quite unwell, she still loves and carves Chinese, so being a good daughter I aim to bring her some ol skool comforts so she is not left out and create dishes that she along with family and friends to enjoy. It's taken me a little while to master this recipe and I'm chuffed to say I have finally got it right and it's as tasty as ever and packs a whopping treat on your taste buds. Rather than spending loads of time slicing and dicing, I've taken the lazy route thanks to very lazy, pre-made ingredients. 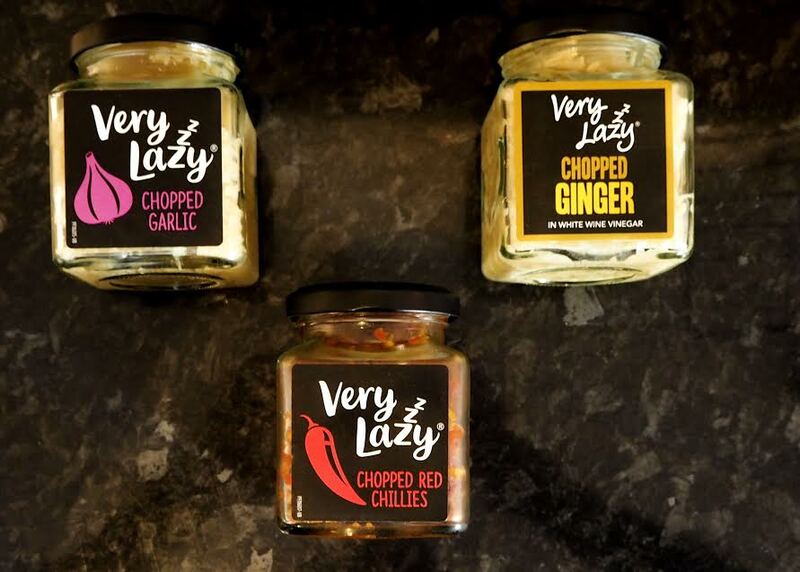 Whilst I love cooking from scratch, there are times I seek a quick route, so it gives me more time to spend, chat and relax with family and friends and with this recipe and some great fresh ingredients I can do just that. 1. 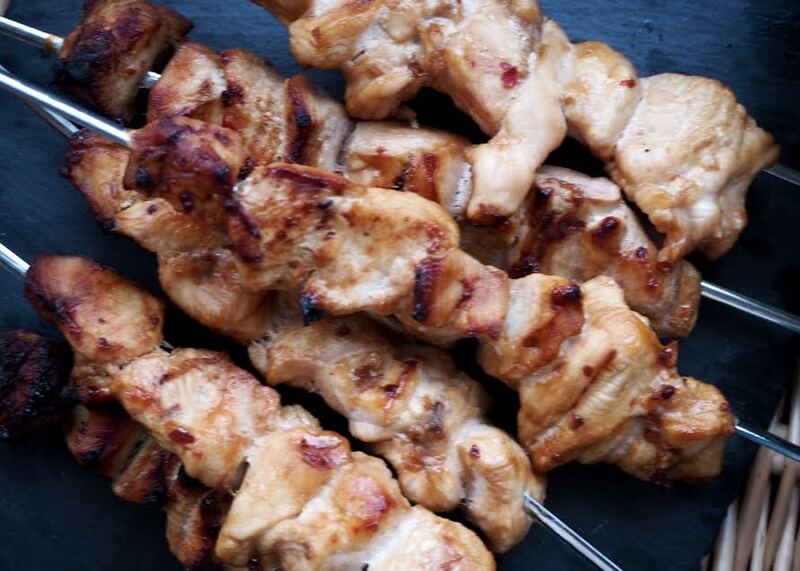 Dice up your chicken breast and place in a bowl, add your garlic, chilli, soy sauce and sesame oil, take large wooden spoon and toss all around to make sure the marinade goes all over the chicken, cover with cling film and place in your fridge for 3-4 hours or overnight. 2. Grab your saucepan, place over a medium heat add your coconut oil, give the pan a little swish round to make sure the whole bottom half of pan is covered. 3. Add your chilli and garlic fry until soft, a slight golden brown on your onions. 4. Add in your saucepan your peanut butter, let it loosen up a little, whack in your maple syrup and coconut milk, give it all a stir until it becomes lose add in a little more coconut milk if you want it a little more saucier. 5. Add in your soy sauce, make sure to keep to keep on stirring for a further minute, take off the heat and pop in a heatproof bowl and leave to cool on one side. 7. Turn your grill on to a medium heat. 8.Take your skewers and slide your chicken chunks on, place on a wire rack ready to go on your grill, repeat until complete. 9. 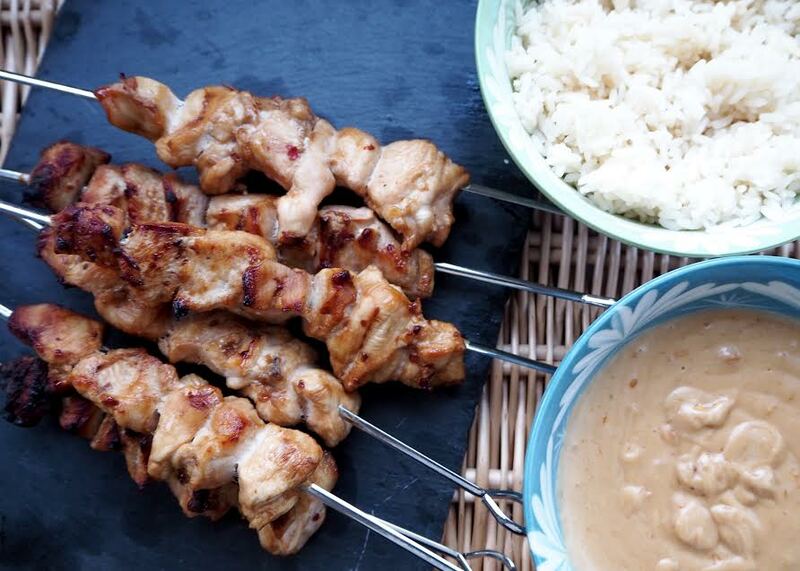 Pop your chicken skewers under the grill for 8-10 mins, flip over and cook on the other side for 8-10 minutes. A great dish for sharing with friends and family, kids love this too. Great served with some sticky rice or my Chinese sweet sticky wings makes for a perfect night dinner. What will you be serving, this Chinese New Year?